It is no secret at this point that VMware is moving more to the ESXi hypervisor model. This poses a few challenges the least of which is how to update a server’s firmware, Bios, and other hardware level items without a Linux Service Console. With many of the servers also not coming with floppy drives, we are forced to find creative ways to boot from floppy images, bootable CD’s, and other methods. This I have found recently to be cumbersome to say the least. However, specifically on new DELL servers there is something I found that becomes VERY useful. 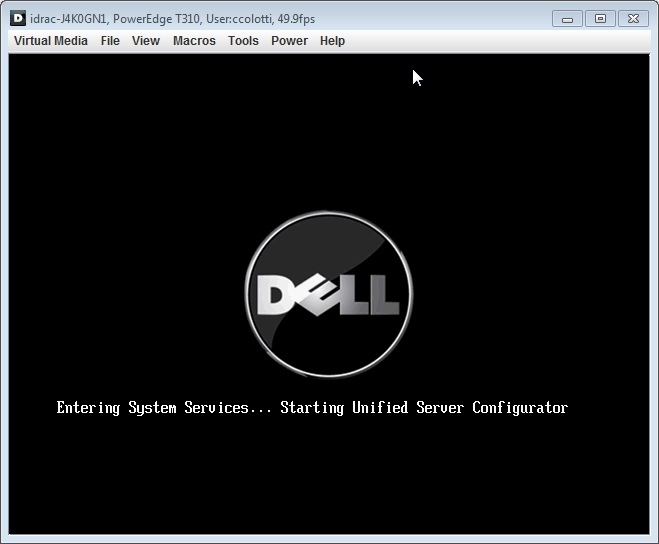 It is called the Dell Unified Server Configurator. If you have not used it here is a few useful tips. I am not sure if there is a similar tool for IBM or HP, I just happen to have a DELL in my home lab. I should point out there is also a new vSphere plugin by DELL for doing updates like this that is a paid for option. The first thing I noticed is that I needed to move the network ports on my server to ports that were NOT trunked, or in an EtherChannel. I needed an Access port on a known VLAN where either DHCP is available or I could configure a static IP address for internet access. Without this you cannot access the DELL FTP services where the updates are stored. 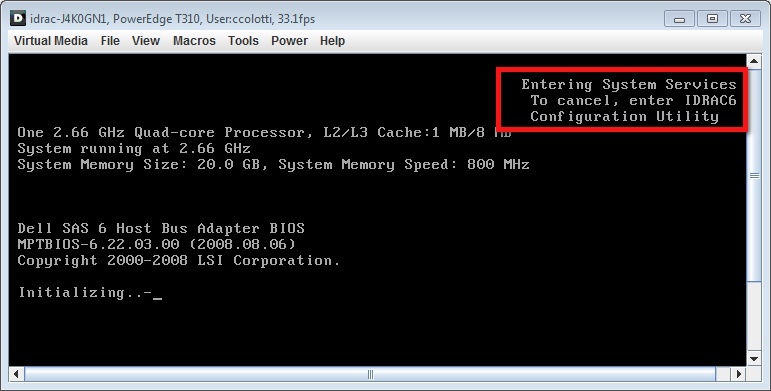 Secondly you need to get into the embedded configurator by pressing F10 while booting. Once we have entered the USC we can look at the options available for updates. 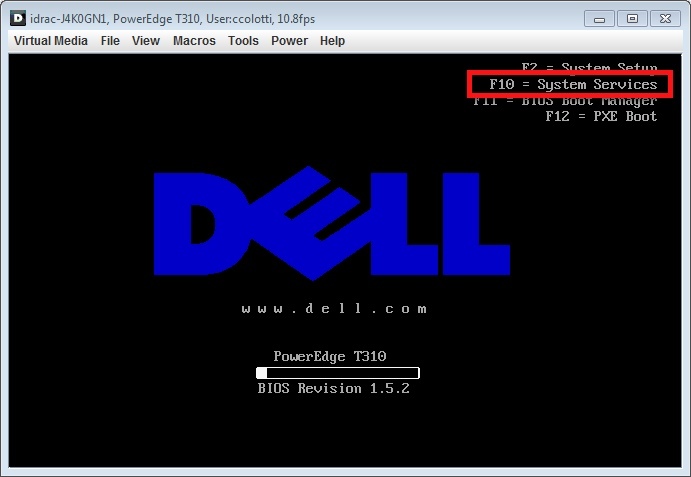 are you emulating DELL bios? how you do that? No that is a physical Dell T310 Bios Screen using the iDRAC for Access. That’s how I got the screen shots.